Invasive Phragmites (European Common Reed) is an invasive plant causing damage to Ontario's biodiversity, wetlands and beaches. 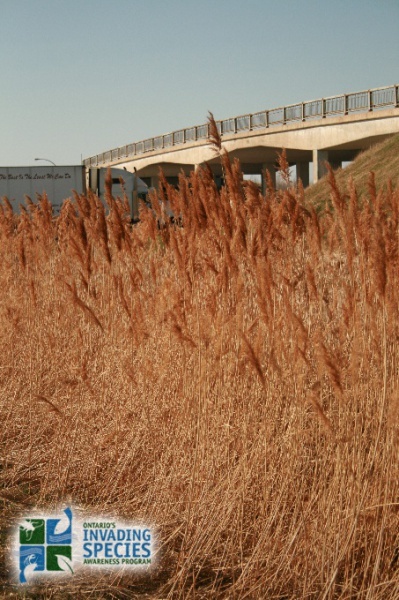 Invasive Phragmites is a perennial grass that has been damaging ecosystems in Ontario for decades. It is not clear how it was transported to North America from its native home in Eurasia. can affect agriculture, cause road safety hazard and impact recreational activities such as swimming, boating and angling. 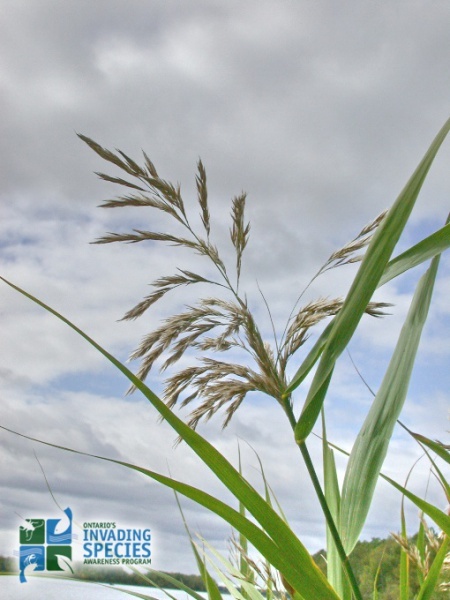 Click here for the Early Detection & Distribution Mapping System (EDDMapS) to view and contribute to Phragmites sightings in Ontario. One factor making the identification of invasive Phragmites difficult is the existence of a closely related native subspecies. Generally, native Phragmites does not grow as tall as the invasive plant and does not out-compete other native species. A number of characteristics of the plant can be useful in distinguishing between the native variety and invasive Phragmites. The following information can help in identifying invasive Phragmites. has stems that are tan or beige in colour with blue-green leaves and large, dense seedheads. usually has more reddish-brown stems, yellow-green leaves and smaller, sparser seedheads. Learn how to identify invasive Phragmites and how to avoid accidentally spreading it through its root fragments and seeds. This is especially important if you are planning to do work in an area which contains invasive Phragmites. 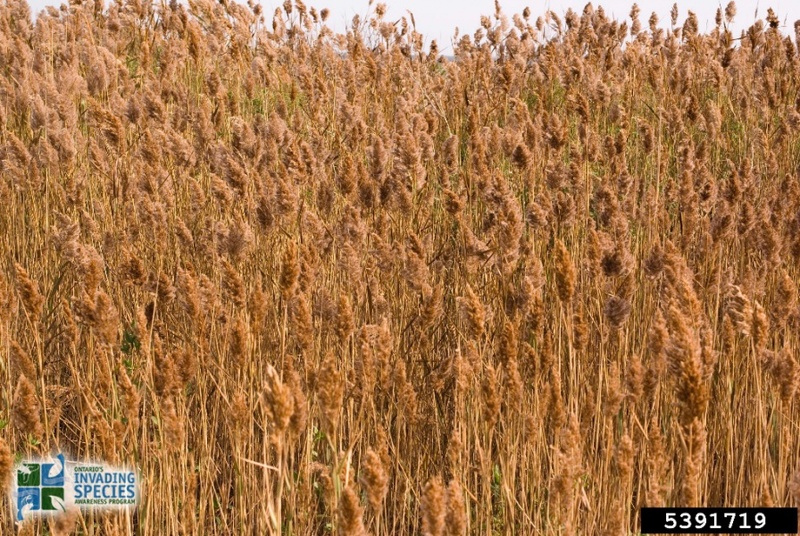 Do not plant invasive Phragmites. 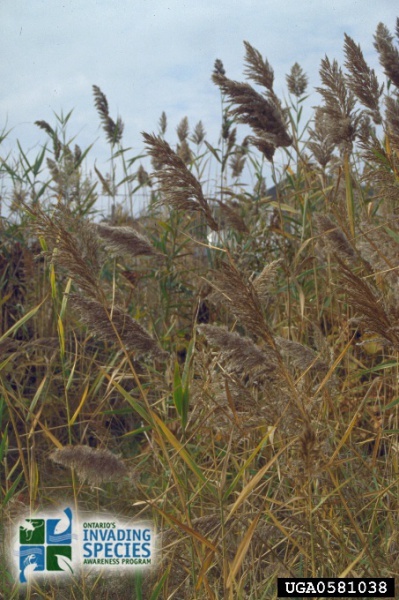 Native Phragmites have the same appearance and do not pose an ecological risk. Gardeners should use only native or non-invasive plants and are encouraged to ask garden centres for plants that are not invasive. Stay on designated trails. Leaving trails or entering areas containing invasive Phragmites can encourage the spread of this plant. When leaving an area containing invasive Phragmites, brush off clothing and clean equipment onsite to avoid the transfer of seeds to new areas. Remove all visible portions of plants and dispose them in the garbage. 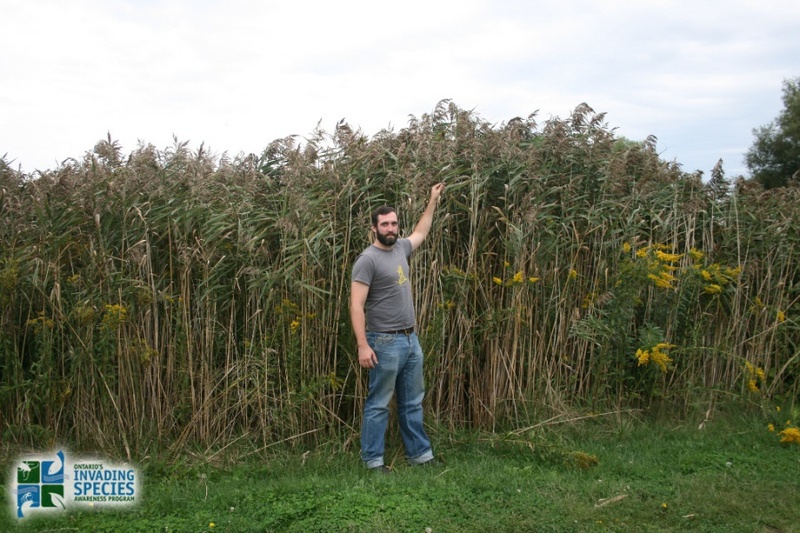 Do not compost invasive Phragmites. Both seeds and rhizomes (horizontal plant stems growing underground) can survive and grow in compost. 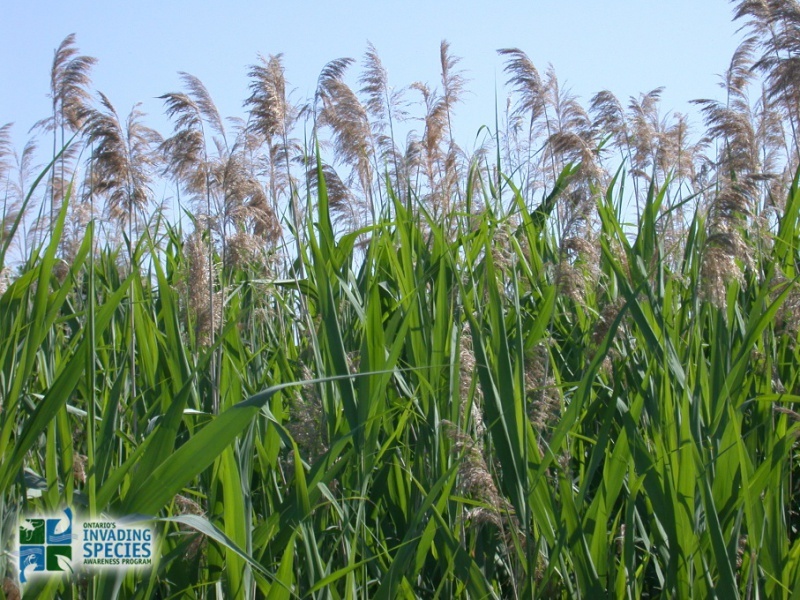 If you find invasive phragmites or other invasive species in the wild, please contact the Invading Species Hotline at 1-800-563-7711, or report a sighting online. OFAH/OMNR Invading Species Awareness Program. (2012). Invasive Phragmites. Retrieved from:http://www.invadingspecies.com. This factsheet may be reproduced for non-commercial purposes.